J. 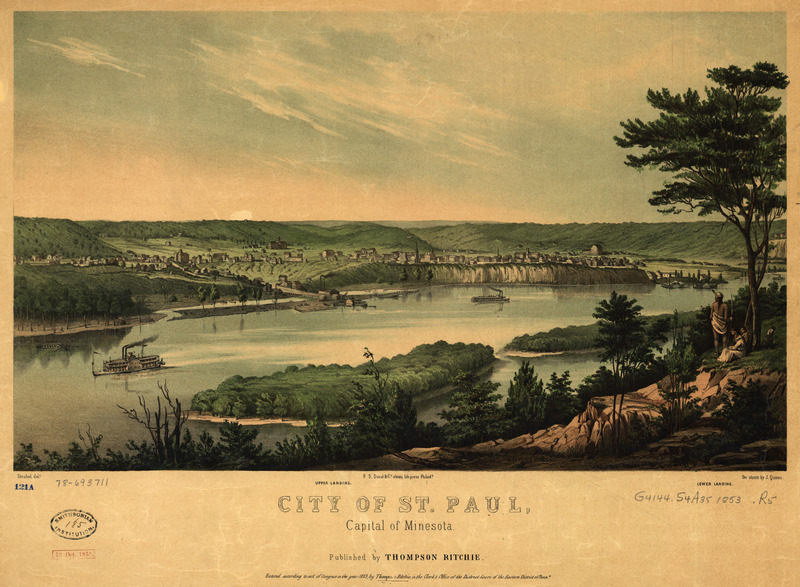 Queen's City of St. Paul, capital of Minnesota, from 1853. 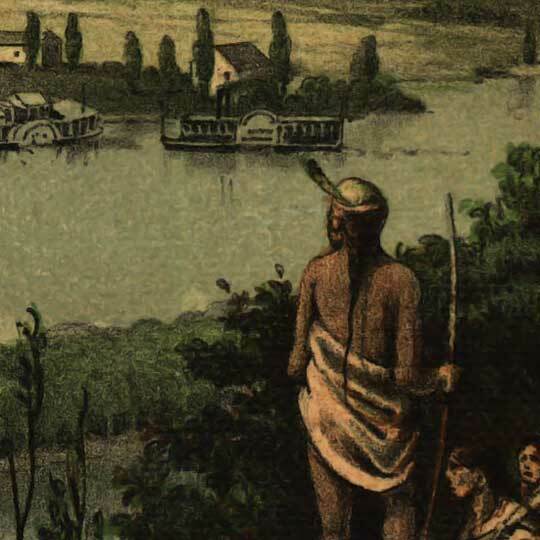 Queen's birdseye map of St. Paul, Minnesota [gmap] in 1853. Its amusing to see how things have changed since 1853. The city of saint Paul truly a place to remember.